Food deserts, areas in which it is difficult to buy affordable or good-quality fresh food, are prevalent here in Williamson and Davidson Counties as well as across the United States. They mostly affect people in a lower income areas as well. Click here to read an article about how a food desert has emerged in Macon, GA after a local Kroger has closed. Aside from making it difficult for persons without access to personal transportation to reach a grocery store, residents are now faced with higher priced purchases at convenience stores! A food desert does not only limit access, but it makes the limited access available much more expensive. Check out this article to see what happens to local residents in this situation. And take a moment to look at the pricing chart. Imagine the constant financial struggles some people must face daily. 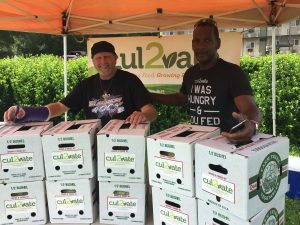 This is why Cul2vate donates to help alleviate hunger and delivers fresh, local produce directly to those in need. Join us in combating hunger!